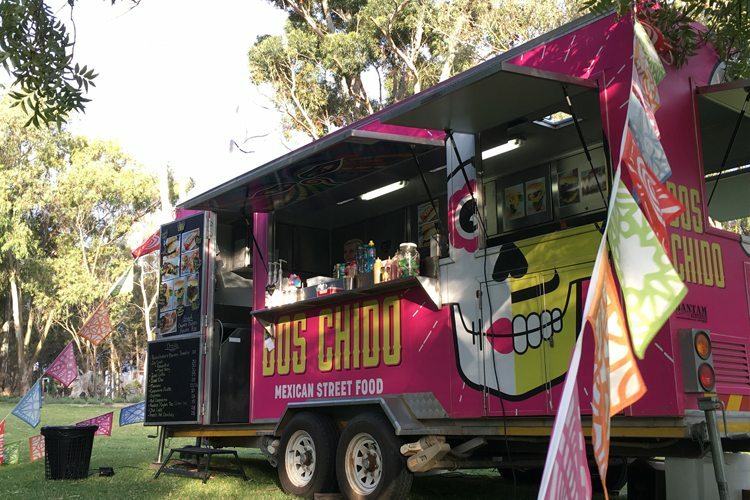 With mobile trucks popping up all over the Mother City, Capetonians are spoilt for choice when it comes to gourmet street food. 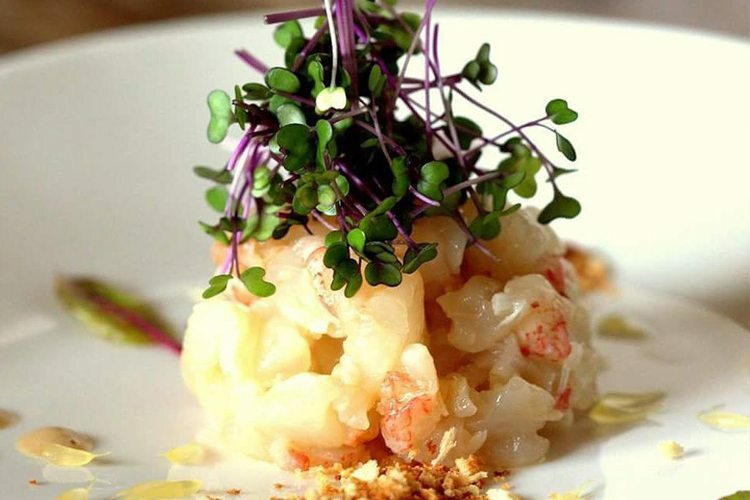 As memorable as it is to eat in a larney restaurant, fine dining is no longer the bar. 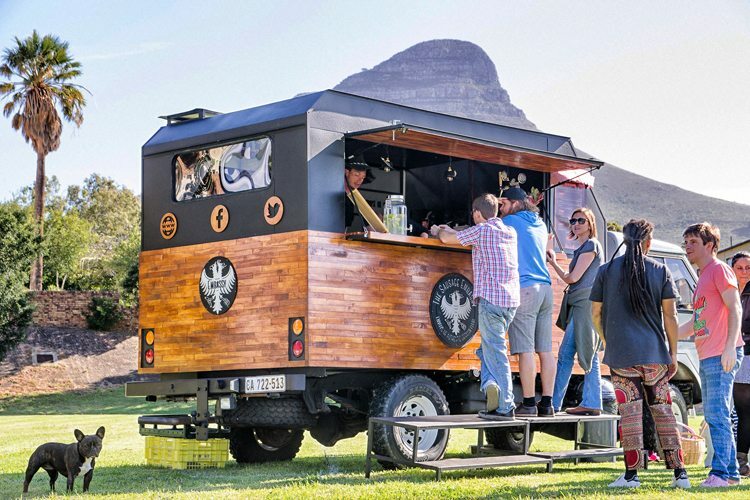 Some of the most exciting and innovative food is being served out of trailers, carts and vintage vans in and around Cape Town. From American-style barbeques and thin-crust Italian pizzas to Asian street food and Afro-French bites, here’s are our picks of the street-food traders who are transforming takeaways. If we’ve left anyone out, please let us know in the comments below. Viva the food revolution! Viva street food! Planning an event? We have just the thing for you. 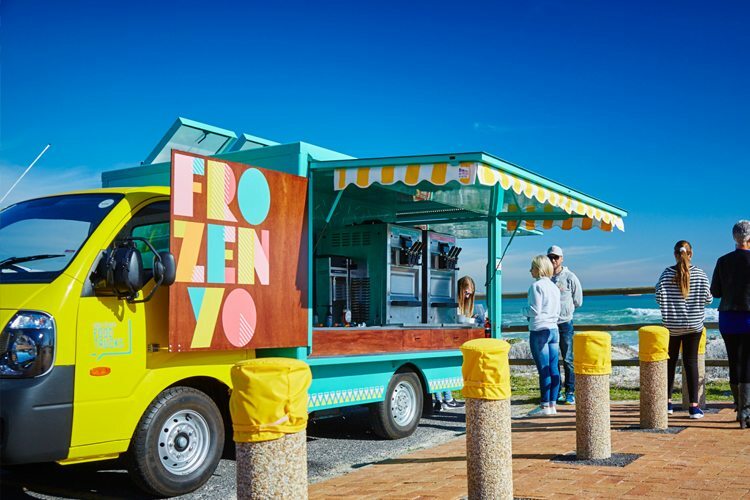 Download The Inside Guide’s A–Z of Food Trucks 2018– a directory of Cape Town’s hottest mobile kitchens. Hot-out-the-oven pizza? Few people can resist it, especially when it tastes as good as the Earthfire ones do. 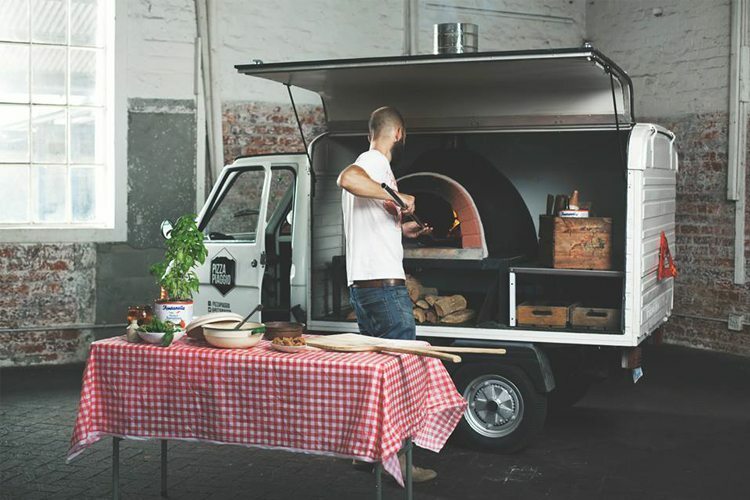 Started by James Kielczynski, who had a dream to dish out delicious pizzas from a food truck on the Camps Bay strip, Earthfire Pizza now serves scrumptious thin-crust, oven-baked pies to events and markets all over the Cape, rivalling even the best pizzerias in town! Where to find them Cape Point Vineyards (Thursday), The Range Market (Friday), Root 44 Market (Saturday and Sunday) and Mojo Market (daily). Nick Perfect and Chanel Marais are living and breathing examples that dreams do come true. 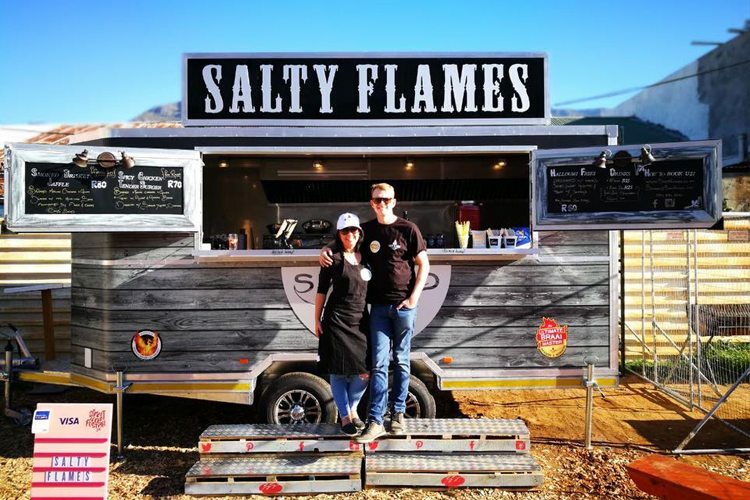 Six months after winning season 5 of South Africa’s Ultimate Braai Master they continued their food journey by starting a smoked-goods production company, as well as their Salty Flames Smoked food truck. 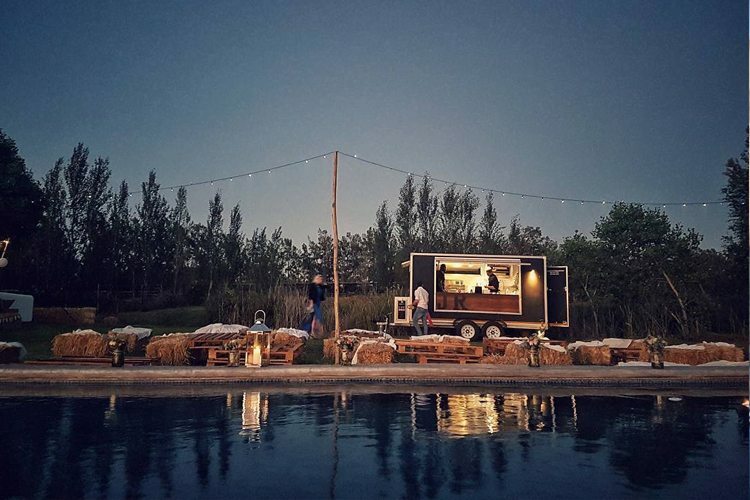 They now bring delicious braaied and smoked foods to hungry diners across the Cape. Where to find them Festivals and events across the Western Cape. You won’t be able to ignore this hot-pink van that sells tasty burritos, quesadillas and other lip-smacking Mexican dishes at events around the country. Where to find them At events in and around the country. 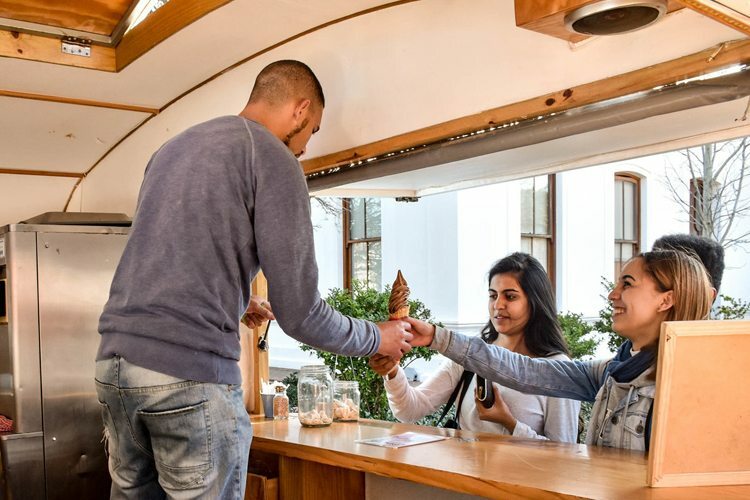 A popular fixture on the Blouberg Beachfront, this turquoise and yellow mobile yoghurt bar is known for its fresh flavours and authentic yoghurt (after)taste. Made from Imported Italian yoghurt, the froyo contains gut-happy live cultures and probiotics, as well as significantly less sugar and kilojoules than normal ice cream. Not to mention it’s gluten- (and guilt)- free! Good To know It FrozenYo has since opened a cool retail store nearby to free up the truck for events. Where to find them Events, such as weddings, corporate functions and birthday parties – or at their beachfront store in Blouberg. 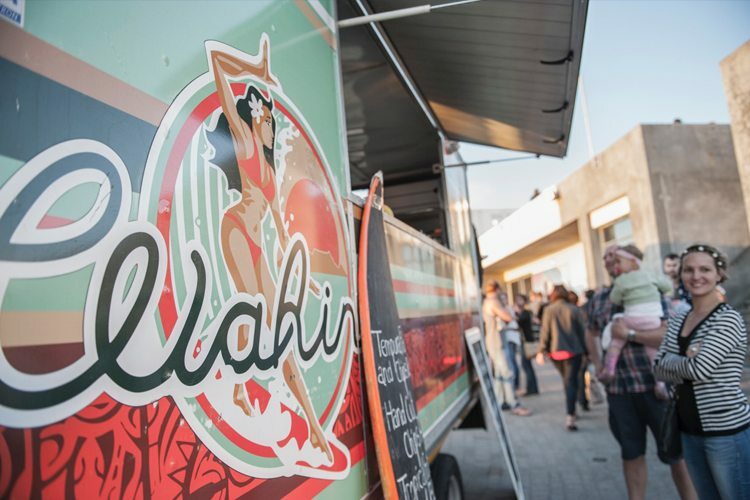 Specialising in Polynesian-inspired cuisine, this truck offers an array of cuisines, including Indian, Chinese, Korean and Japanese, and even venturing into the South Pacific (Tahiti, Hawaii and Fiji) to create an ever-changing menu. The only constant is healthy and delicious food, with an increasing number of vegetarian and gluten-free options. Where to find them Various festivals, social and sporting events in and around Cape Town. Based in the southern suburbs, they’ve been known to travel to KZN for the Splashy Fen Festival! They also cater for private, corporate, school and sporting events. With backgrounds in hospitality management, Jack Rabbit’s owners, Vasti and Marc Anthony Vonk, have brought delicious food and creative energy to festival-goers across the Cape. Where to find them Festivals and music events. They’re also available for private events, such as weddings and corporate events. This is one for the books: fine dining township-style. Expect a variety of traditional staples with modern twists – such as mleqwa (a traditional chicken dish) butternut mqa (pap), mfino (a mix of maize meal, spinach, cabbage and potatoes) and lightly pickled fresh vegetables – all presented interestingly, and to be enjoyed at one of the nearby tables, or as take away. eKasi sources all their vegetables from Moya Wekhaya organic gardens, and they harvest fresh herbs and edible flowers in their own garden. Good to know EKasi also have a fine-dining restaurant in the heart of Khayelitsha. 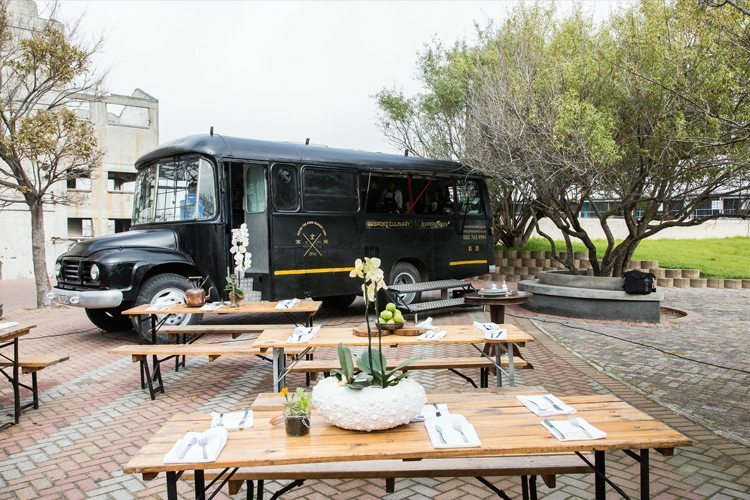 Where to find them Based in Khayelitsha, opposite Luhlaza High School, the truck is available for private events within a 60km radius of Cape Town International Airport. 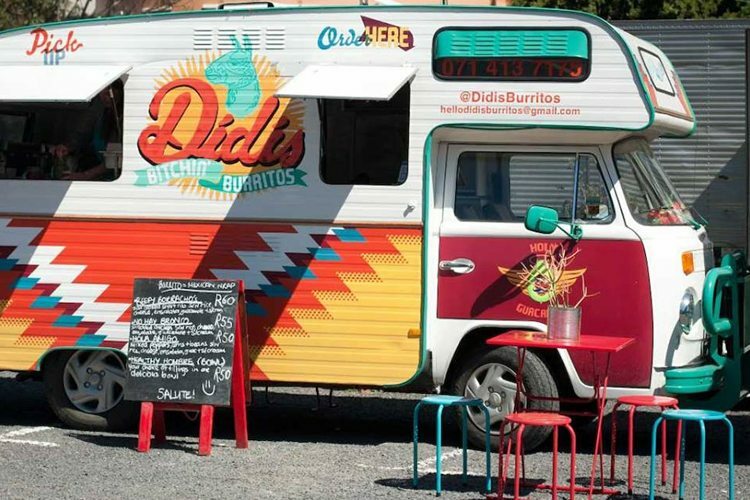 Satisfy your Mexican-food cravings at Didi’s Bitchin Burritos, whose spicy dishes have earned them quite a name on the festival circuit in the Cape. For owner Jeroen Janeke, the satisfied smile on his customers’ faces after they’ve taken their first bite is one of the most satisfying aspects of his job. 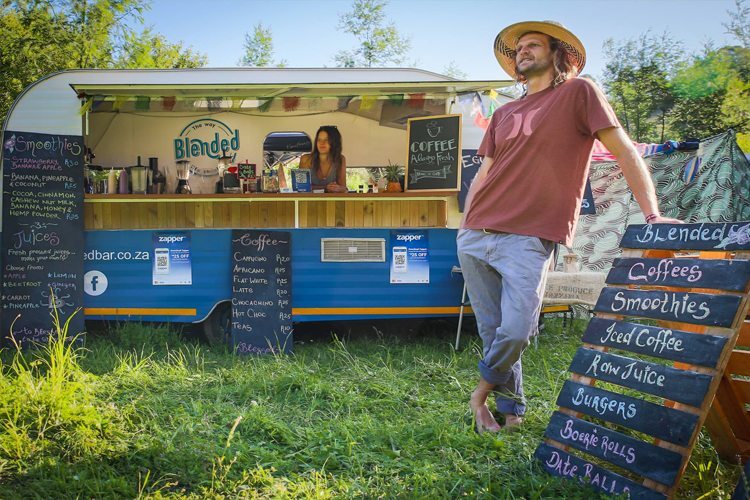 After ditching the corporate world in 2015, he left Joburg, moved to Cape Town, and opened Scandalous Food Truck, which now serves Italian dishes, burgers and sandwiches to happy diners at events, festivals and functions around the Cape. Here, the humble hot dog is elevated to a culinary experience in its own right, because the owners believe in sourcing the best produce, and doing things properly. 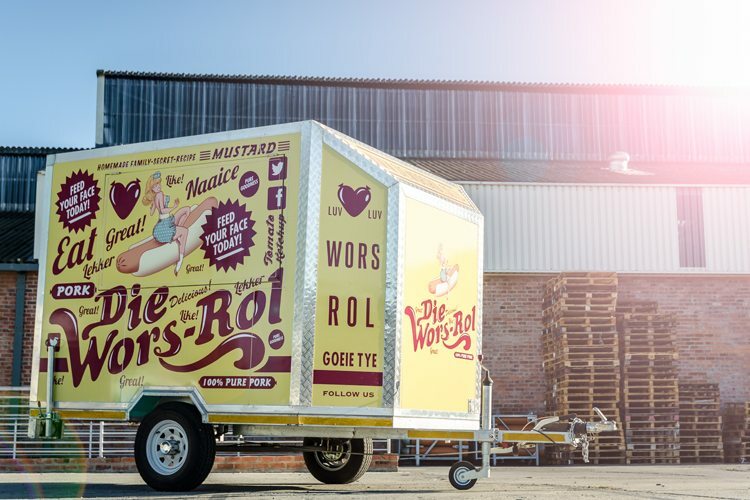 The brainchild of famed chef and owner of Overture and Spek & Bone, Bertus Basson, and run by chefs Craig Cormack and Beau Du Toit, the truck specialises in locally sourced Frankfurters served with secret homemade sauces, and thrice-cooked fries. Remember to say hi to pin-up girl Bestie, their vintage mascot. 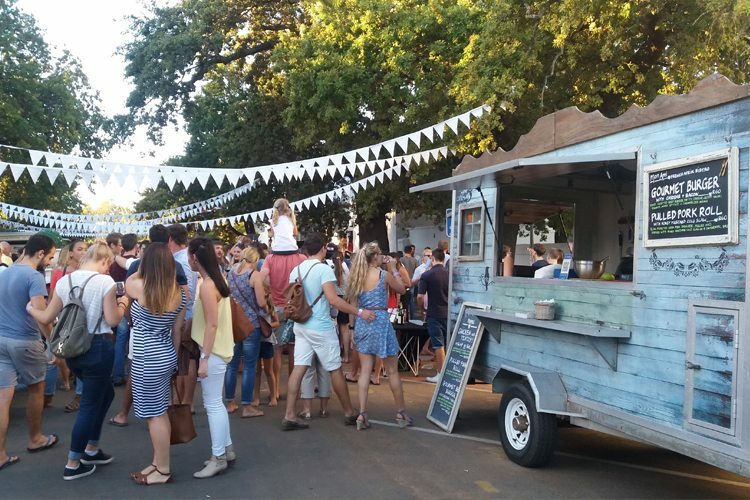 Where to find them Various events and festivals around the Cape, including Stellenbosch Street Soirées. 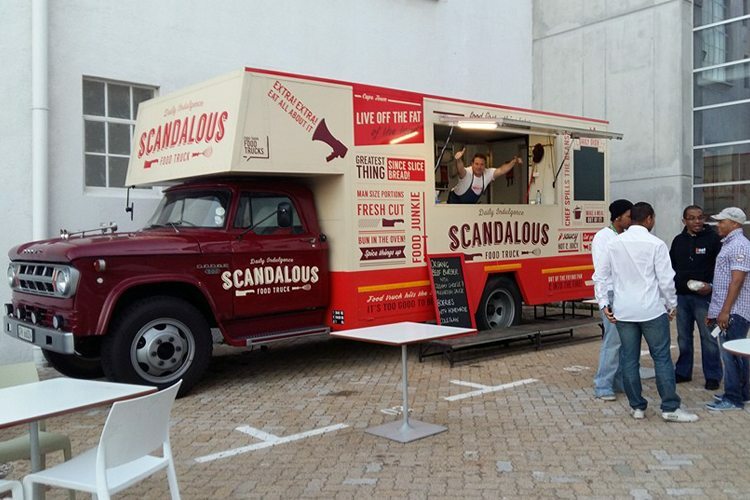 Based in Stellenbosch, they also cater at private and corporate events. This sleek black vintage bus does exciting fusion dishes that sound almost too good to eat – from Caprese salad with truffle burrata, pomodoro (tomato) discs, basil pesto and balsamic pearls and to tom yum goong soup with squid popcorn and coriander oil – it’s no wonder these guys have got the thumbs-up from some of Cape Town’s well-known chefs, namely Luke Dale Roberts and Jan Hendrik van der Westhuizen! Where to find them Hotspots in and around Cape Town as well as private functions, events and weddings. French and Afrikaans might not be the first combination that springs to mind when pairing foods and flavours, but it’s what the owners of Mon Ami French Afrik Bistro concocted – and it seems to work! 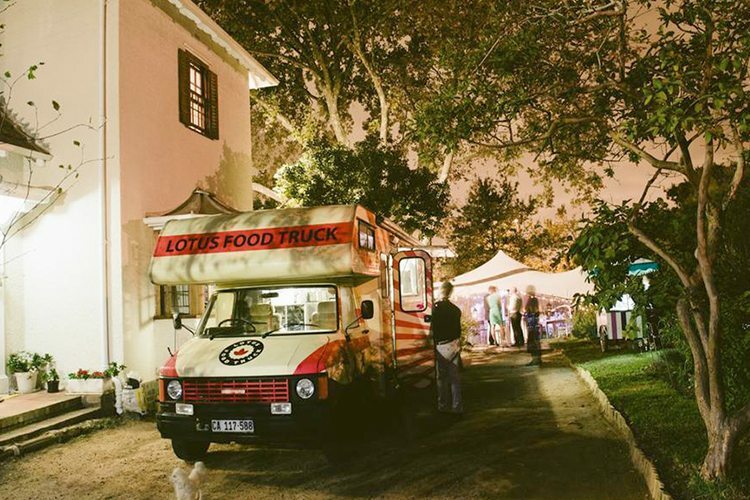 Their funky green truck fuses the best of French and South African cuisine into steak rolls, lime chicken wraps, exciting salads, to name a few of their fan-favourite dishes. If you’re looking for a trip down Nostalgia Lane, get to The Soft Machine and order one of their impossibly creamy soft serves. Made with fresh milk and real fruit and no additives and artificial ingredients, these are old-school ice creams done the right way. And while you’re doing old school, go for the good old vanilla-flake combination. For something more adventurous, try Leipoldt’s Milktart or Amarula. Looking for a custom-made burger in an oversized sesame-seed bun? You’ve come to the right place! 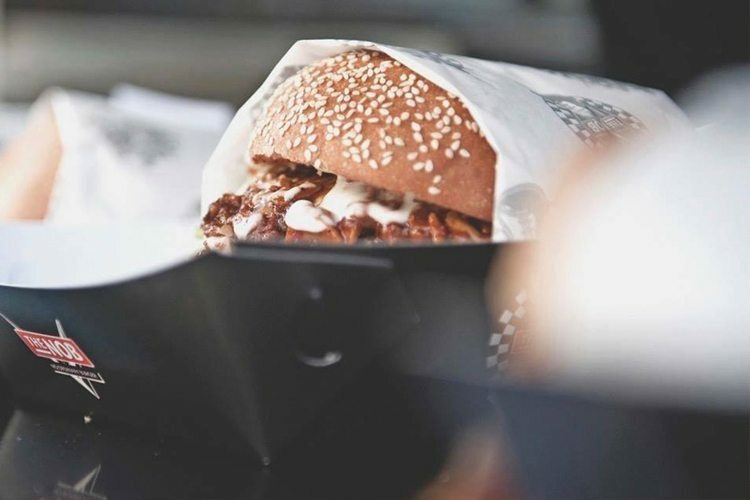 NOB Food Truck uses fresh ingredients, a range of secret sauces, and an amazing array of toppings to create drool-worthy buns. Where to find them Festivals and events in and around Cape Town, including Cape Town Street Food Festival, Jack Black Brewery (occasionally), and once a month at The Viper Lounge in Table View. They’realso available for hire for private events across the Western Cape. 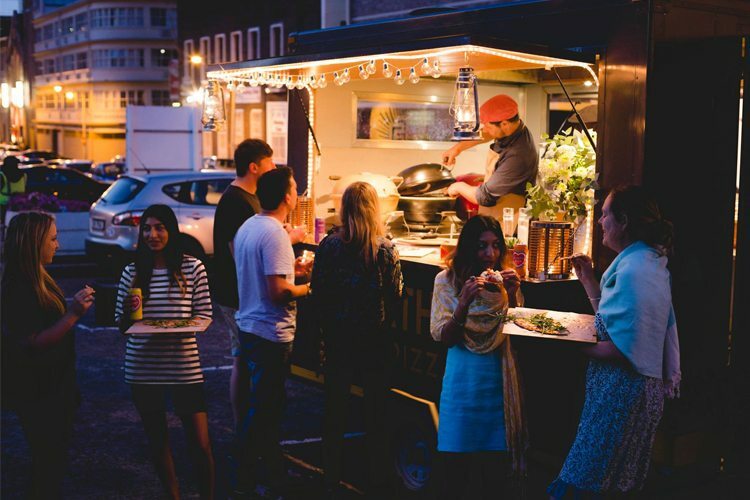 SA’s original pizza tuk-tuk, Pizza Piaggio has made a name for itself as one of the best and most authentic Neapolitan pizza trucks in the Western Cape. The delectable aromas that emanate from the oven when the pizzas are being baked are near-impossible to resist. Where to find them At the Old Biscuit Mill’s Neighbourgoods Market (Saturday), and at select festivals and local markets. What started out as a dare – to pull up on bicycle outside a friend’s coffee shop and sell sandwiches – soon turned into the real thing. Owners Steph and Luciana Venter rolled out their sandwich shop on wheels in 2011 and within no time, it had garnered a legion of adoring fans. 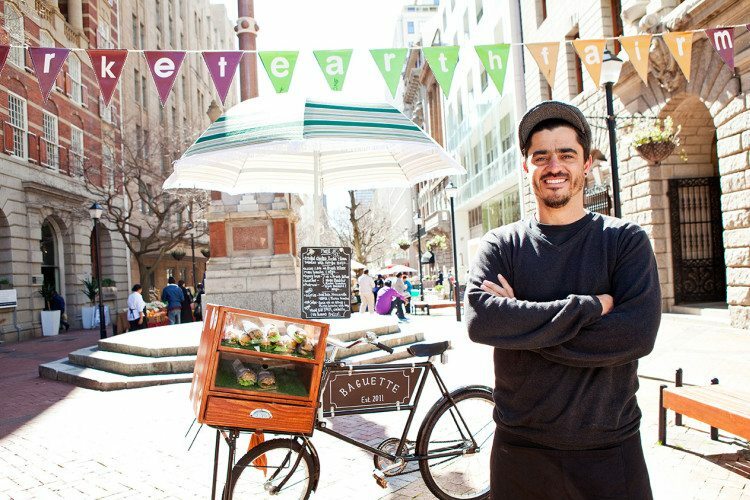 Some years later and with more experience (and money) under their belts, they no longer serve food from their vintage bicycle, but still pop up at odd events (First Thursday and Neighbourgoods Market) in their hot-dog cart and food truck. Good to know They have a bakery in Salt River, where they cook up a storm and deliver baked goods to shops in the city and events. Where to find them While they’re not as active as they used to be, they pop up at First Thursdays and the Neighbourgoods Market, and they’re available for free deliveries in CBD. Lotus’ food philosophy is simple: value-for-money Asian street food that’s fresh, tasty and made from scratch. From succulent satays to beef short ribs and a host of tasty tidbits in between, all the dishes come with amazing dipping sauces and dressings. And, if you thought food truck vendors weren’t serious about food, think again. Owners Christopher Payne and Kyle Miller own two restaurants in addition to Lotus, namely Fraîche Ayres – a bistro-style café at Starke Ayres in Rosebank, and a cool café in Woodstock called The Mill & Press. Where to find them Only available for events, weddings and celebrations. 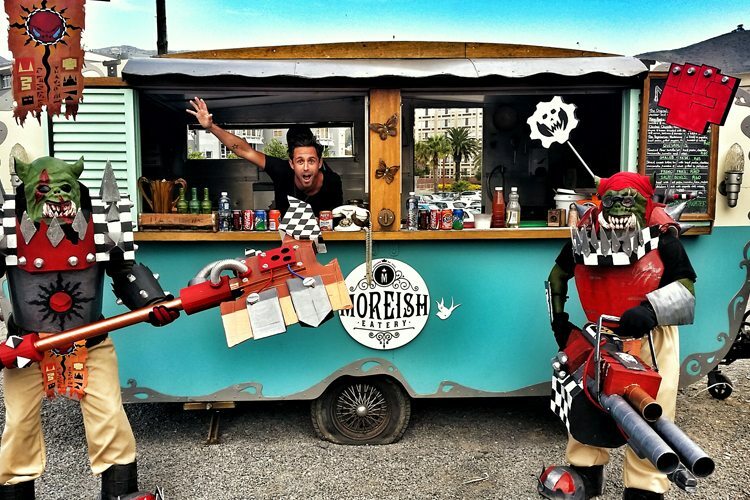 This mobile food kitchen offers gourmet street food that’s bursting with flavour. All sauces and relishes are handmade, and their menu changes according to what customers want. 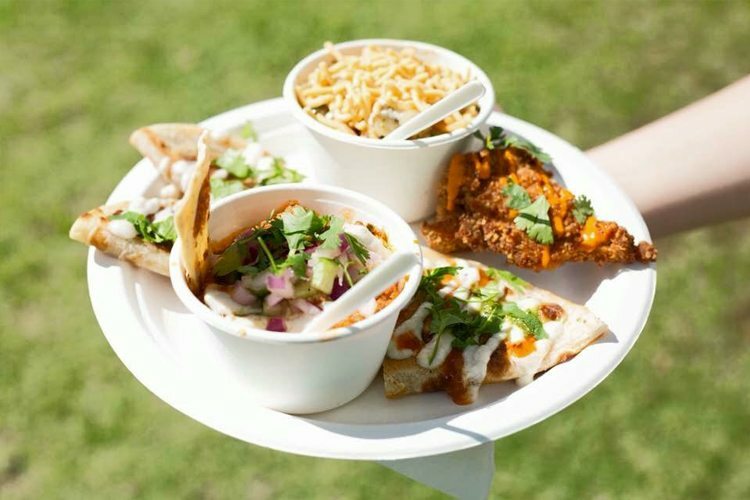 Festival and event favourites include the free-range beef and chicken gourmet burgers, toasted wraps and tacos. Where to find them At corporate events, festivals and concerts. The truck is also available for hire for birthdays and weddings, catering for 50 to 500 guests. Traditional Bavarian-inspired grub has been reincarnated into modern street food, with a focus on high-quality German Brätwurst, warm pretzels with butter and chives, and pulled pork in dark beer sauce. Try one of their popular Bacondogs – a smoked Frankfurter wrapped in streaky bacon and served on a freshly baked pretzel roll topped with gherkins, original German mustard and delicious crispy onions! Vegetarians, don’t let the name put you off! There are items on the menu that are free of animal products. Plus, these guys are fully off the grid, running their truck on solar power and gas only! Where to find them Festivals, music events, markets, wine farms, and breweries. Also available for private functions, corporate functions, and movie shoots. If you love Indian cuisine, but prefer flavour to heat, try these guys. Using home-ground spices and coconut oil for any fried foods, they cater to Banters, vegans and vegetarians. Although they’re not halaal-certified, they are halaal-friendly and kosher, with no pork products used. Where to find them Various festivals and events (Pinotage on Tap, Constantia Gift Fair, Winelands Chocolate Festival and Design Indaba). Based in Constantia, they also do private and corporate events, offering canapé nibbles. Healthy, nutritious, and utterly delicious, Blended’s refreshing smoothies, juices and wholesome treats have earned them a devoted following of fans who can’t get enough of their smoothies (made with fresh fruit and no added sugar or dairy). Type of cuisine/food Fresh smoothies and juices as well as coffees. Where to find them Festival and events around the Cape. Brace yourself: the winter specials are coming!